Hanoi (VNA) - Minister of Culture, Sports and Tourism Nguyen Ngoc Thien has issued an action plan with six tasks to improve the sector’s business environment and enhance national competitiveness. The six tasks include monitoring the Travel and Tourism Competitiveness Index (TTCI) of the World Economic Forum (WEF); raising the ranking of priority index for the tourism industry to 15-20 places; implementing reforms to make business easier; improving online public services and connecting the national one-stop portal. The Ministry of Culture, Sports and Tourism (MCST) is responsible for monitoring the WEF’s travel and tourism competitiveness index. The MCST will be the focal point for following TTCI’s criteria and developing documents to guide ministries, agencies and localities to understand the indicators, index groups, objectives and report forms. Thien also assigned the General Department of Tourism to work with travel agencies around the world to learn more about this set of indicators. The TTCI methodology calculates the score for each country on the basis of 90 indicators within 14 pillars, including business environment; safety and security; health and hygiene; human resources and labour market; ICT readiness; prioritisation of travel and tourism; international openness; price competitiveness; environmental sustainability; air transport infrastructure; ground and port infrastructure; tourist service infrastructure; natural resources; cultural resources and business travel. 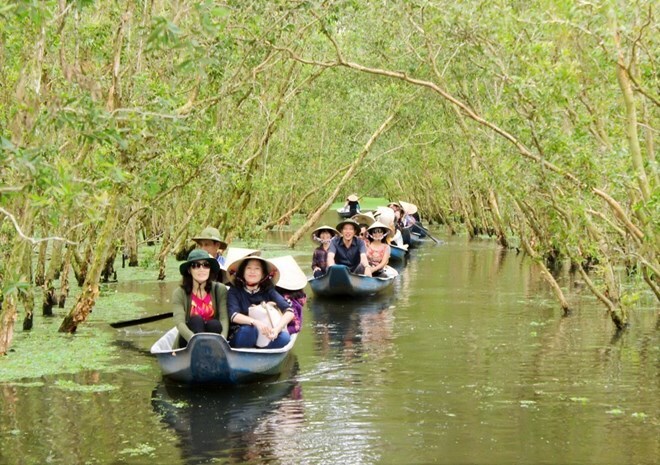 According to the General Statistics Office, the number of foreign visitors to Vietnam in March exceeded 1.4 million people, raising the total number of foreigners to the country over the last three months to more than 4.5 million, a year-on-year increase of 7 percent.